Double-click the survey that you wish to configure. Alternatively, right-click the survey and click Configure 'Survey'. 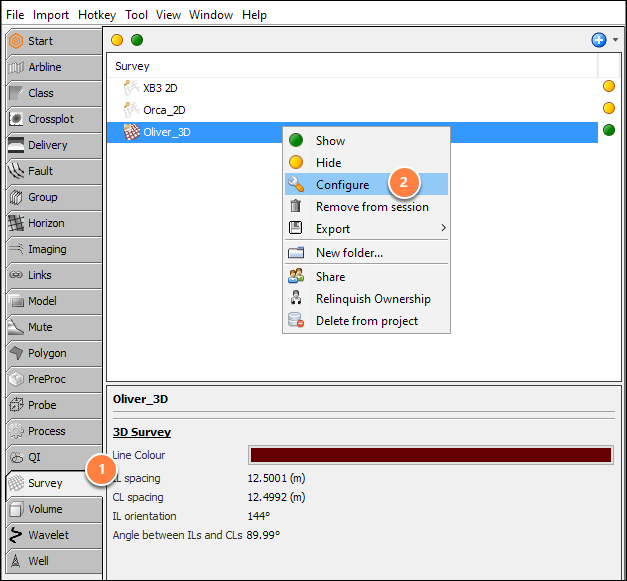 The Survey Configuration window will be displayed. Origin & Bin Size Definition — Input the coordinates of an origin point in Inline, Crossline, X and Y. Then, define the Azimuth (IL direction), the direction in which the IL increases and the spacing of the IL/CL. 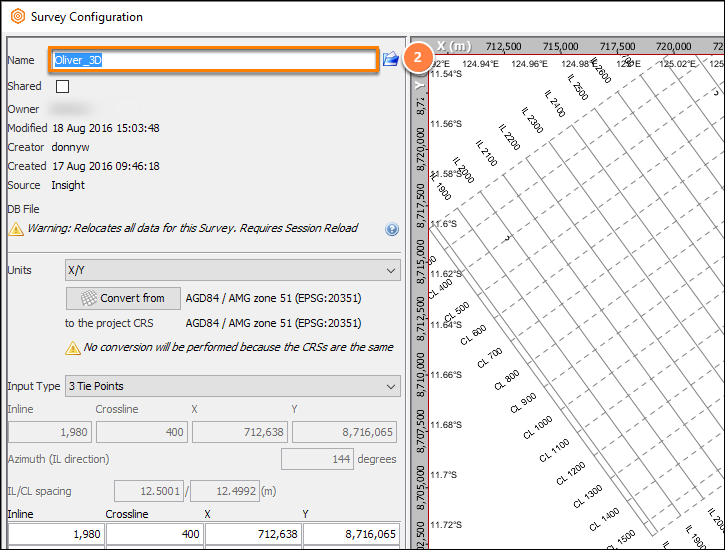 The survey will be generated by projecting out from the origin in the direction and spacing specified. 3 Tie Points — Alternatively, you can also define 3 tie points in IL, CL, X and Y. The survey will be generated from the relationship between IL/CL and X/Y, and large enough to cover all three tie points. Check for any warnings or errors, and QC the survey from the view panel on the right. Click OK to update the survey. Type a new name for the survey in the Name field. Click on the Select File icon to the right of Name field. 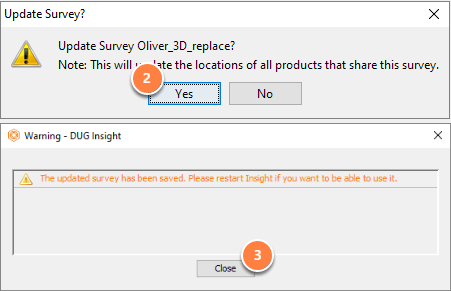 Select the new 3D survey file that you want to use and click Open. Once you have made changes to a survey, the Update Survey? window will appear to warn you that it will update the locations of all products that share the survey. Click Yes to proceed with the update. 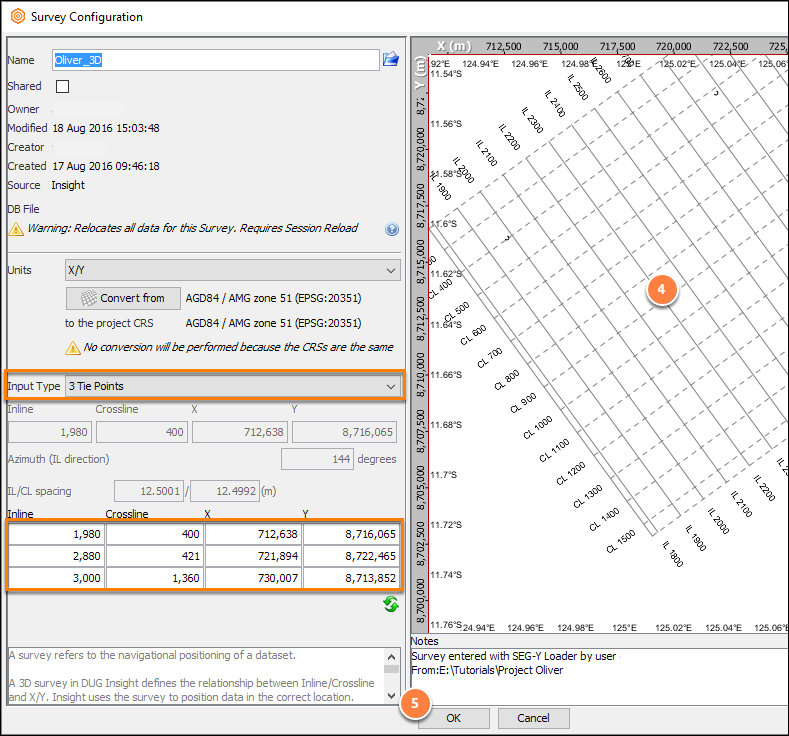 Click Close to return to the Survey panel. Note: The current session has to be reloaded to allow changes in the new survey to take effect. All other items that were based on the old survey will also be relocated to the new survey once the session is saved and reloaded. 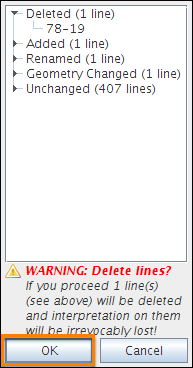 If changing the survey would result in deleted lines, a separate warning dialog will appear to show you a breakdown of the affected lines.